When trying to lose weight or maintain your health, you need a healthy snack that accommodates your busy lifestyle. Herbalife Protein Bars have 12 grams of protein, plus vitamins and minerals to help you curb your appetite and keep up your energy. One or two bars per day for healthy snacking and weight loss. For variety, try our other delicious protein-rich snacks. Chewy bars formulated with a blend of soy and whey proteins, healthy fiber and 23 vitamins and minerals, can help sustain your energy and appetite. Promote healthy weight managementSatisfy your hunger. 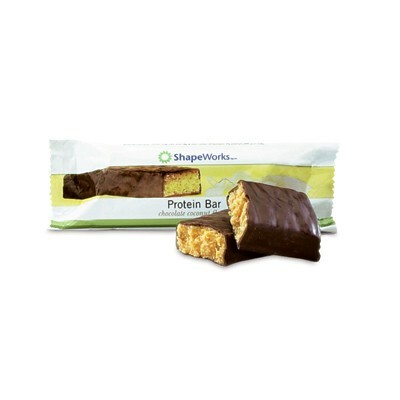 Get 12g protein in every bar. A satisfying and delicious addition to any weight-loss program.Ideal to power-up before a workout. Supplies protein to help build and maintain lean muscle. Only 150 calories per bar.